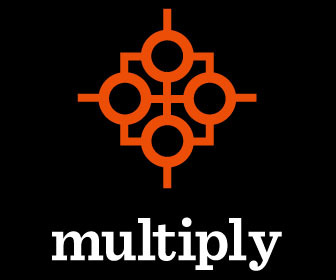 I’m going to write this discussion on Francis Chan & Mark Beuving’s book Multiply a little differently than usual; there are going to be lots of bullets because there’s just so much to cover! I love to study God’s Word, but earlier in my walk this wasn’t the case, and neither is it the case amongst many other believers; and then, sometimes, even when we do take the time to study God’s Word, we may do so with wrong motives, which, we’ll discuss here. We should be craving God’s Word like a baby craves for milk. What an amazing idea! When was the last time you had a craving to read God’s Word?! I know when I go a day or two without opening His Word, I have a longing for it, a passion that sometimes keeps me up after midnight just to study it. Francis Chan, next points out how important it is that we understand what the Bible is. When we say that it’s the “Word of God” we ought to recognize that “we’re actually talking about something that the all-powerful, all-knowing, transcendent God decided to write to us” (Chan & Beuving, 2012, p. 92)! Now that we’ve identified that we ought to be studying God’s Word, let’s discuss our motives. According to Francis Chan most Christians study the Bible for the wrong reasons. Okay, now that we’ve covered some of the wrong motives for studying God’s Word, let’s take a step back and look at why God gave us the Bible in the first place. I, again, apologize for not writing on a more regular basis. I’ve started riding the train to and from work, which means I leave my home earlier and get home later in the evenings, leaving me less time to do other things during the week. It’s going to take some getting used to and some serious time management skills, since I’ll be returning to school in a few weeks, as well. Before I begin chapter 14 of Romans I thought I’d continue our discussion of Multiply: Disciples Making Disciples, because chapter 6 is about the global church and I feel it has much in common with previous chapters of Romans. The Bible makes a point to explain that the fall of Adam and Eve affected all of humanity; not just a certain ethnic or geographical group. In the same manner, the life, death, and resurrection of Christ–the grace of God–is meant for all! If we’re not trying to make some sort of effort to reach those in other parts of the world, then we’re not truly being obedient to the call of Christ, through the Great Commission to share the gospel. The word “believe” in Greek is pisteuo, which means “to adhere to, cleave to; to trust, to have faith in; to rely on, to depend on.” Therefore, how can anybody have a relationship with–adhere to, cleave to, trust, rely, or depend on–Christ if they don’t believe that He exists? They have no faith. How can they have faith (or a relationship) with Christ if no one has ever told them about what God has done for them? And how can they hear about God’s grace and mercy if someone doesn’t tell them? God commands us to share the gospel with the world. We must tell others, so that they may hear and believe (adhere to, cleave to; to trust, to have faith in; to rely on, to depend on). In other words, “The question is not whether or not we will be working to spread the gospel around the world, but what role we will play in this” (Chan & Beuving, 2012, p. 86). I would love to take a missions trip one day, but until that day comes I’ll continue to share the gospel through other means. For me, that means continuing to write this blog. I’ve delightfully discovered that many of my readers are from various places around the globe; from countries that can be found in Europe, Asia, Africa, and South America. This excites me and motivates me to focus my writing solely on what God wants me to share. I also do my part by supporting a child through World Vision, and although my financial situation is a little sticky, I continue to give because I know that my gifts have a great impact on the life of my little friend and his community. And every time I see a Facebook post or Tweet about fellow believers suffering persecution or imprisonment for their faith, I send out a prayer for their protection and ask that God would envelop them with His love and peace; I also send out retweets and sign petitions for their release. But this is just how I reach the world. In what ways do you attempt to reach the globe and share the message of Christ?